When we talk about the richest men in South Africa 2019, what comes into our minds are the likes of Nicholas F. Oppenheimer, Johann Rupert, Koos Bekker. In the South African religious setting, we also have pastors who are very wealthy and are very popular. South African pastors are one of the richest pastors in Africa and about two of them making the list of top 10 richest pastors in Africa. These popular men of God have a lot of luxury which includes fancy cars and ownership of empires that cost millions of Rands. They have built a reputation for themselves and are very popular all over the world. In this post, we will take a look at the top 5 richest pastors in South Africa and their net worth according to Forbes this 2019. 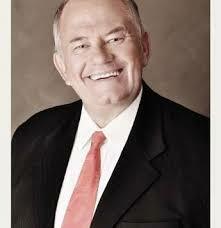 Ray McCauley is a popular South African Senior Pastor of Rhema Bible Church. He is President of the International Federation of Christian Churches, co-chair of the National Interfaith Council of South Africa. Ray McCauley is based in South Africa. He received his pastoral training in 1979 and he started his church afterward with his family. He has a net worth of about $28 million. Pastor Tshifinwa Irene is a South African televangelist, who has her church situated in Venda South Africa. She is the founder of Divine Truth World Restoration Services for World peace by Jesus Christ. Tshifinwa Irene was a former banker at the Standard Bank of South Africa between 1990 and 2001 before she left her banking job and started her own Christian ministry. One of the richest pastors in South Africa is South Africa-based Malawian Prophet Shepherd Bushiri. He has been ranked in a joint top position with Bishop David Oyedepo of Nigeria as Africa’s richest pastors. He is the founder of Enlightened Christian Gathering Church. His ministry began in 2002 and currently has thousands of members worshiping in his church. There are various branches in South Africa, Botswana, Zambia, Tanzania, Namibia, and Ethiopia. Bushiri has an estimated have a net worth of US$150 million (KSh15.3 billion).